A Grade II listed detached cottage with an open fire, set in an idyllic picturesque valley alongside the magnificent ruins of Rievaulx Abbey - a warm welcoming ambience is assured. 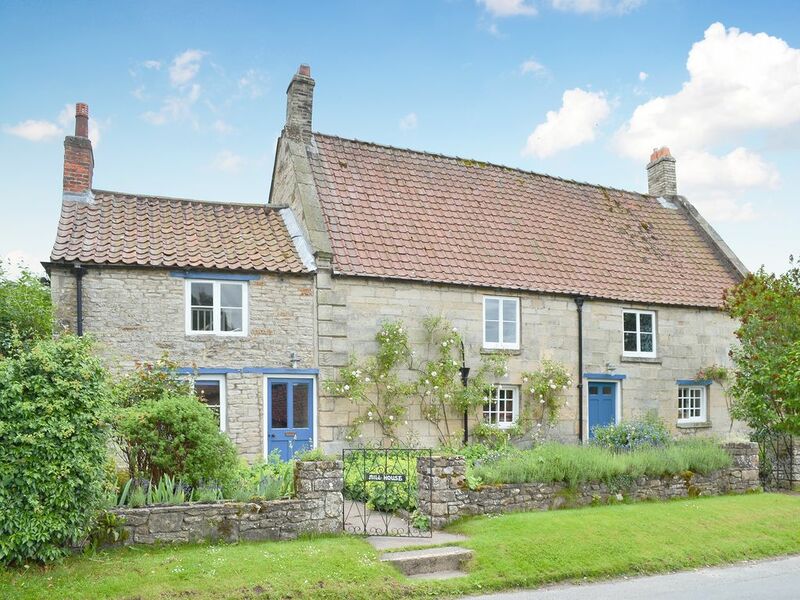 Nestling in the tranquil valley of the North York Moors, this charming Grade II listed English Heritage detached cottage stands close to the impressive ruins of Rievaulx Abbey. Dating back to 1729, Mill House oozes charm and character, with beautiful exposed beams, a cosy open fire and a traditional Aga. The gardens are spacious, ideal for children and dogs and perfect for relaxing and enjoying the peace and tranquillity of this picturesque village. Wander around the impressive ruins of the Abbey, visit the museum and tearoom and enjoy the stunning views from the terrace. There are numerous walks from the doorstep through the beautiful rolling countryside. The delightful market town of Helmsley is just a 5 minute drive, brimming with delicatessens, quality shops and renowned restaurants. Helmsley has an Art Centre with live events and films, 5 acres of walled gardens and Duncombe Park, a country estate home to the International Centre of Birds of Prey. The seaside resorts of Whitby and Scarborough and the ancient walled city of York are all within an hour’s drive. Shop, pub and restaurant 2½ miles. Mill House can be booked together with Swiss Cottage (DC5480) and Mill Cottage (DC4885) to accommodate up to 14 guests. Living room: With open fire, Freeview TV, DVD player, beams, wooden floor and staircase leading to bedroom 2. Kitchen/dining room: With Aga, microwave, fridge/freezer, dishwasher, washer/dryer, beams and tiled and wooden floor. Oil central heating, electricity, bed linen, towels, Wi-Fi and logs for open fire included. Travel cot, highchair and stairgate available on request. Enclosed lawned garden with sitting-out area and garden furniture. Bike store. Private parking for 3 cars. No smoking. Please note: There are 4 steps and a drop from a wall in the garden.